Daniel Jacobson is a professor of musicology, music theory and general education for the WMU School of Music. Before coming to Western in 1996, he taught a wide range of graduate and undergraduate courses in music theory, music history/musicology, music technology, guitar, and voice, while serving on the music faculties of Santa Ana College, the University of California-Santa Barbara, and the University of North Dakota-Grand Forks. Jacobson received a Bachelor of Arts degree in vocal performance from Westminster College, a Master of Arts degree in music history from California State University-Long Beach, and he completed Ph.D. programs in both musicology and music theory at the University of California-Santa Barbara. For over 25 years, he was also a professional singer-guitarist in southern California and Salt Lake City. He has served as music director for the Grove Shakespeare Festival, Trinity Evangelical Lutheran Church in Santa Barbara, and several college choral ensembles. He was the historical archivist for the Lotte Lehmann Collections at UC Santa Barbara, Executive Producer for the International Lotte Lehmann Centennial, Artistic Director for the Mozart Bicentennial Gala at the University of North Dakota, and Coordinator for the Institute of Vocal Artistry in Santa Barbara. Jacobson has published a variety of books, book chapters, journal articles, interactive multimedia, and historical recordings. He is the co-author of two nationally-released multimedia works for W.W. Norton: The Norton CD-ROM MasterWorks, Vol. 1: 12 Pieces from The Norton Scores, and The CD-ROM Listening Guides for The Enjoyment of Music (7th edition). He has written textbooks on American Music in the Twentieth Century, The Development of Rock 'n' Roll, and A Listener's Introduction to Music. 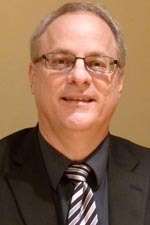 His scholarly articles on Mozart, Beethoven, Schubert, Dvoràk, Thomas Morley, Lotte Lehmann, and music technology instructional pedagogy have been published in the Journal of the International Franz Schubert Society, the Mozart-Jahrbuch, The Journal of Musicology, Musicus (the journal of the International Computers in Teaching Initiative), The Opera Quarterly, the Reader's Guide to Music, and the Journal of the National Association of Teachers of Singing. In addition, Jacobson has served as an editorial assistant for the Journal of the American Musicological Society, as well as a book editor, book reviewer, and newsletter editor. He has presented numerous lectures and papers throughout the US and at international forums in Canada, Germany, England, and Taiwan. In 2002, Jacobson received the WMU College of Fine Arts Outstanding Service Award. At the University of North Dakota, he received the 1993 College of Fine Arts Outstanding Research/Creativity Award, the 1994 CFA Dean's Award, and the 1995 university-wide Outstanding Faculty Award for Teaching, Research, Creativity, and Service. In 1996, 1998, 2002, 2003, 2004, and 2005 he was selected to Who's Who Among America's Teachers, and he has been listed over a dozen times in various Who's Who publications including Who's Who in the World (1999). His professional affiliations include memberships in the American Musicological Society, the Society for Music Theory, the College Music Society, Music Theory Midwest, the Association for Technology in Music Instruction and the International Schubert Society.